Two years ago, India was thrown into turmoil when the Prime Minister's brutal demonetization announcement forced millions of Indians to drop everything and rush to banks to change their soon-to-be-worthless life savings. Today, Modi is still fighting the demonetization damage. Indian National Congress (a leading opposition party) observed November 8th, 2017 as 'Black Friday' for the one-year anniversary of Modi's poorly executed demonetization. This year, the Congress Party planned a nationwide protest to mark the second anniversary. The protest was postponed to November 9th, 2018 to allow for Diwali celebrations. Between 11am and 1pm, in upscale New Delhi, approximately 80 Indian National Congress activists led by former Rajasthan Chief Minister Ashok Gehlot, Anand Sharma, Bhupender Singh Hooda, and other senior party leaders, were detained by police for staging a protest outside the Reserve Bank of India. Wearing black bands on their heads, the party workers carried placards and raised anti-demonetization slogans. One of the aims of the protest is to convince Prime Minister Modi to apologize formally for the disruption caused by the demonetization shock, which Congress considers 'India's biggest scam'. The opposition feels that the policy had detrimental effects on the country's economy, including widespread job losses, economic slowdowns and severe business disruptions due to cash shortages. The Indian National Congress opposition party has called for nationwide protests to take place on Friday, November 9, over a demonetization policy. A heightened security presence is to be anticipated around such gatherings, along with potential traffic disruptions. On 8th November 2016, India's Prime Minister Narendra Modi announced on live television that the 500 and 1,000-rupee notes would be void in just four hours, and would need to be exchanged with new 500 and 2,000-rupee notes over the following weeks in a radical attempt to crack down on 'black money, fake currency menace, terror funding, and corruption'. Sadly, the population suffered severely and the crime-fighting goals were not met. "Demonetization was the biggest blunder of the Modi government. It was designed to benefit only the BJP and its senior leaders. Millions of poor Indians were inconvenienced and there were zero benefits,"
If the point of the cash ban was to crack down on corruption by leaving criminals unable to exchange their illegally acquired banknotes, it proved futile, as India's central bank reported 99% of the high-denomination notes had been returned. Many cashless society initiatives are started by governments, revenue authorities, banks, card networks or telcos, who most of the time don’t have the merchant’s problems in mind. In most countries we studied, merchants prefer cash over cashless payments because it’s perceived as fast and free and because their businesses need constant cash flow. Besides that, the customer rarely demands cashless payment methods, leading businesses to not necessarily lose business if they accept cash only. “Two years ago, the Prime Minister announced demonetization and gave three reasons for it - to curb black money, weed out fake notes and proscribe terror funding. Two years later, none of those objectives has materialise [...] In fact, there is more cash in circulation today..."
Demonetization was launched in India in an effort to crack down on the nation’s underground economy, boost tax revenues and encourage the transition to a digital banking infrastructure. 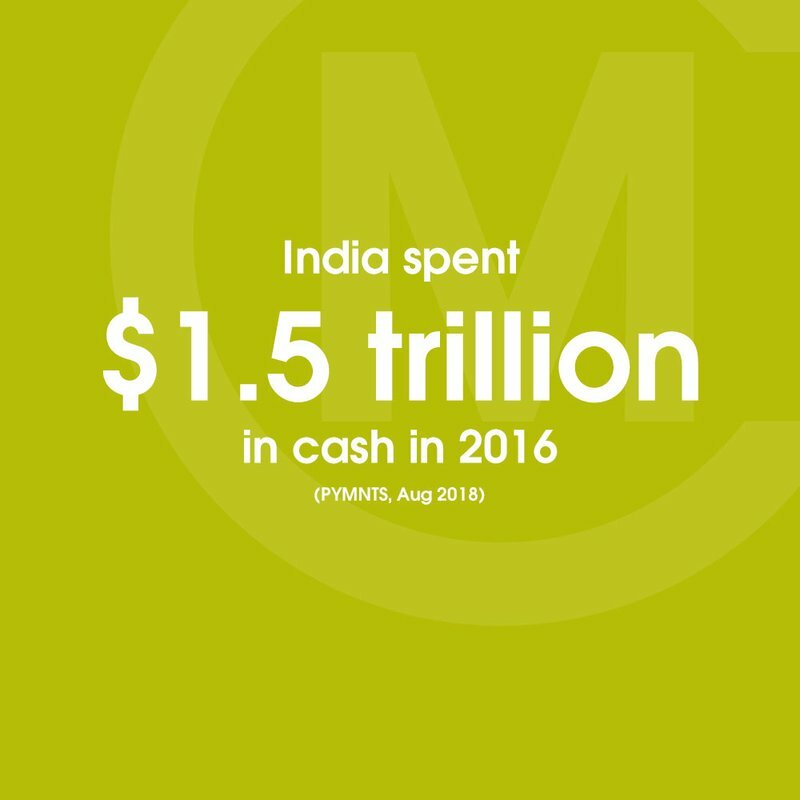 However, nearly two years after the policy launched in 2016, cash remains a key component of the nation’s economy...Based on current trends, the rate of total cash usage in India is expected to rise at a compound annual growth rate (CAGR) of 10.47 percent from 2016 to 2021. Ahead of the second anniversary of the announcement of the demonetisation, on November 8 2016, by Prime Minister Narendra Modi, the Congress party on Tuesday demanded that the PM apologize to the nation on Thursday, at "exactly at the same time when he announced the decision two years ago", for ruining the Indian economy. 'The results are in. The Indian government's grand demonetization experiment has proven to be a bust, with cash continuing to thrive in the nation's economy,' explains the latest Global Cash Index™. The Congress said on Tuesday it will hold protests across the country on November 9 to mark the second anniversary of demonetization and asked Prime Minister Narendra Modi to apologize to the nation for “ruining and wrecking the Indian economy”. People were given several weeks to exchange their demonetised currency for new notes at banks. But new notes could not be printed fast enough, and the policy sparked a months-long currency crunch that left tens of millions of Indians cashless or standing in line for hours each day to retrieve small sums of cash...As India’s massive informal economy reeled, Modi implored the country to give the policy time to work, arguing it would flush out untaxed wealth being hoarded by wealthy Indians, help to digitize the economy — one of the most cash-based in the world — and starve terrorists and criminal gangs of cash. About 1.5 million jobs were lost during January-April 2017. The estimated total employment during the period was 405 million compared to 406.5 million during the preceding four months, September-December 2017...The lasting effect of demonetization is apparent in the fall in the labor participation rate after these two months. The rate fell to 44.5 percent in February, then to 44 percent in March and 43.5 percent in April.